Shoots about 10' out of front of cannon. 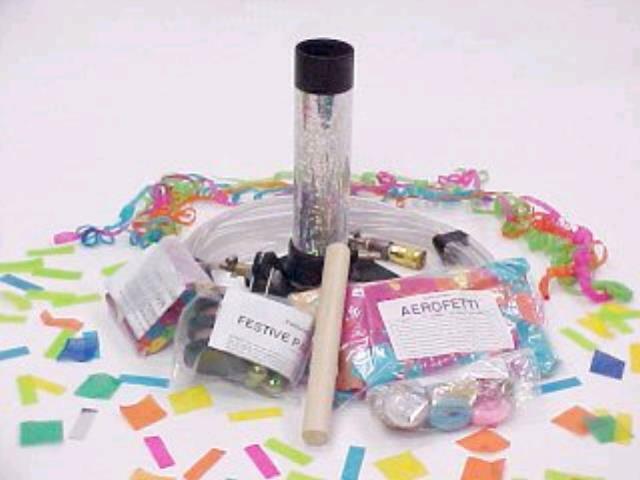 Rental includes 1 lift cup 2" and 1 cartridge of CO2 plus 1 load of confetti. CONFETTI CANNON LIFT CUP 2"
* Please call us for any questions on our confetti cannon floor mount w co2 rentals in Ft. Wayne IN, Warsaw, Syracuse, Auburn, South Bend, Indianapolis IN.